In addition to the line-up of playwrights featured in Weesageechak Begins to Dance 27, there are also remarkably talented performances artists. 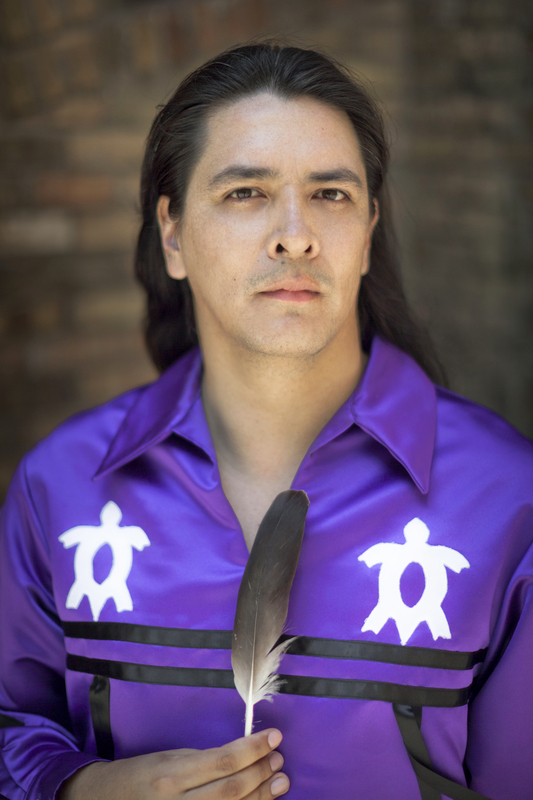 Another of these artists is Jeremy Proulx, a multi-disciplined artist of Anishnaabeg (Ojibwe) and Haudenosaunee (Oneida) descent. Currently an Artistic Associate and ensemble performer with Belarus Free Theatre in the United Kingdom, Proulx has been an actor, writer, dancer and filmmaker for the past 15 years. This past July, he made his London stage debut at the Young Vic in Red Forest, which was co-produced as part of the London International Festival of Theatre (LIFT). Proulx recently returned from a theatre production tour throughout Italy with Young Vic. Future plans for more international tour dates of Red Forest include New York City, the Melbourne Theatre Festival in Australia, as well as an extensive UK tour next year. What advice would you give to someone who wants to do what you do? The rejection can be tough but it’s not always about you. Learn to be persistent. Fight for what you believe in. Writing is rewriting. Write what you know. What are you thinking right before you begin a play? Why do people want to hear this play now? You can catch Jeremy Proulx on various nights throughout the festival with a Weesageechak Begins to Dance 27 Festival Pass.